Mason Kritz. L-R Bear Todd, Rosie Kneal, Te Manewha Rikihana, Matt Teokotai-White (coach), Kane McBrydie, Chelsea Good and Phoebe Hoskin. Photo: John Borren. Budding pro-swimmers from the Bay will be making their first splash into a new pool of challenges when they compete at a national competition this month. Around 10 Liz van Welie swim school swimmers will be competing in their first ever national competition at the NZ Division Two Swimming Championships in Dunedin. Liz van Welie swim school head coach Matt Teokotai-White says each year, around 700 students from the ages of 12-18 will participate in the four-day event which includes freestyle, backstroke, breaststroke, butterfly and medley. “In terms of the standard, it’s just below national age group level,” says Matt, “so this competition is a stepping stone for some of those swimmers who haven’t necessarily been big time competitive swimmers before. Before going to the championships, all participants have to meet the qualifying marks which are dependent on length, stroke and the athlete’s age. Matt says he arrived at the Pyes Pa-based Liz van Welie swim school halfway through last year and at that point only two students had hit those qualifying marks. Now all students have hit the required mark. “They’ve been training really hard to get to their target and, fortunately, everyone achieved those qualifying times last week,” he says. “I know a couple of them were getting a bit nervous that they wouldn’t make it, so for them to get that reward, and absolutely smash it, is awesome. 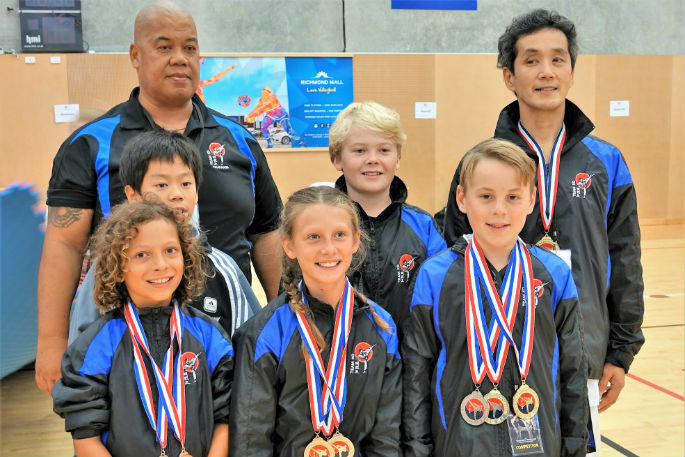 The 2019 NZ Division Two championships is on March 13-16 at the Moana Pools in Dunedin.